Western Uganda is lush, mountainous, and desperately in need of clean water. People are forced to use smelly, dirty water for drinking and cleaning, leading to diseases and death. Samaritan’s Purse is working in the area to give people access to fresh water. Emmanuel Kamuhanda lives in a small community called Egali and has 11 children. He makes bricks for a living and has enough land that he can provide food for his family. But not having clean water makes life difficult. Emmanuel’s wife, Priscilla, said it’s difficult to take care of all their children, and a lack of clean water makes it even harder. Others in their area shared the same sentiment. But recently, Samaritan’s Purse brought hope to the community by building a shallow well. The old water source was a small, muddy pond that smelled bad and was a breeding ground for insects. The community members didn’t want to use it, but they had nowhere else to go. In an adjoining parish, Elizabeth Nynjura, an elderly community member, explained that her water source was down a steep slope. Like the Kamuhanda’s water source, it was small and muddy. It was so difficult to get the water that she often had to send her children or grandchildren because it was too steep for her to climb. 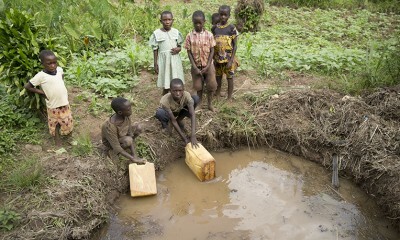 In rural Uganda, many people drink from water sources like this one. Small, muddy ponds shared by animals are breeding grounds for disease. With the installation of a new water source, the people in Egali will no longer have to drink from this source. For young children, the dirty water was a big problem. Because of drinking contaminated water, they often complained of stomachaches and being sick. Priscilla admitted that she has a hard time boiling water for all 13 members of her family, and sometimes she felt unmotivated because the insects stayed in the water even after boiling. Bathing in the drinking water contaminated it more, but children weren’t the only ones. Many people took their animals to the small pond to drink and bathe. 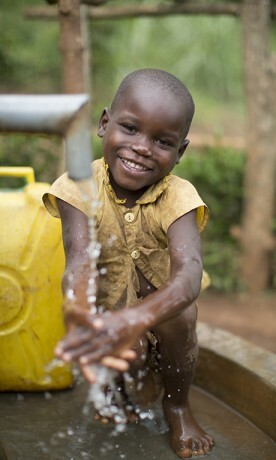 Clean water can mean the difference between life and death. Children aren’t able to boil dirty water, so they often drink it straight from the pond, resulting in stomachaches and more serious medical problems. When the rains left, the small pond dried up, and the families had to walk even further to find water. The long trips would often take up much of the day, leaving little time for work. Last year, Edison met with district officials and found that only 25 percent of the parish had access to clean water. 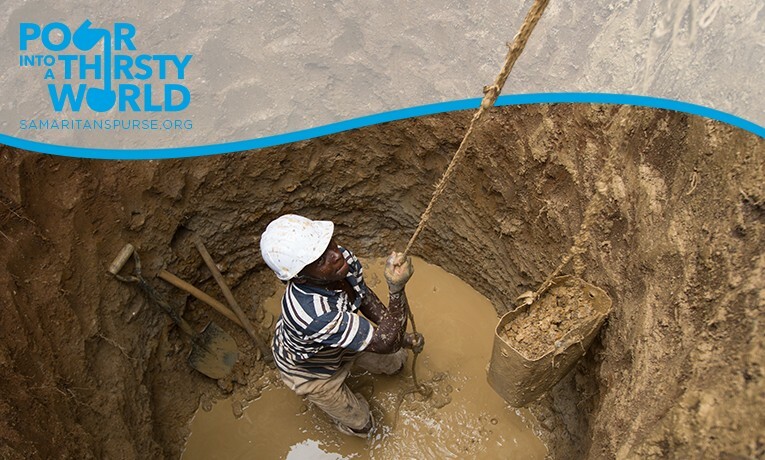 We began helping the community build new shallow wells, and water coverage is now at more than 50 percent. People who live close to the wells said that they would never get water from the ponds again. The biggest change is the health of the children. They no longer complain of stomachaches, and parents have fewer medical bills. “Nowadays, when I’m drinking the water, I drink with warm heart because I know the water is good,” Priscilla said. 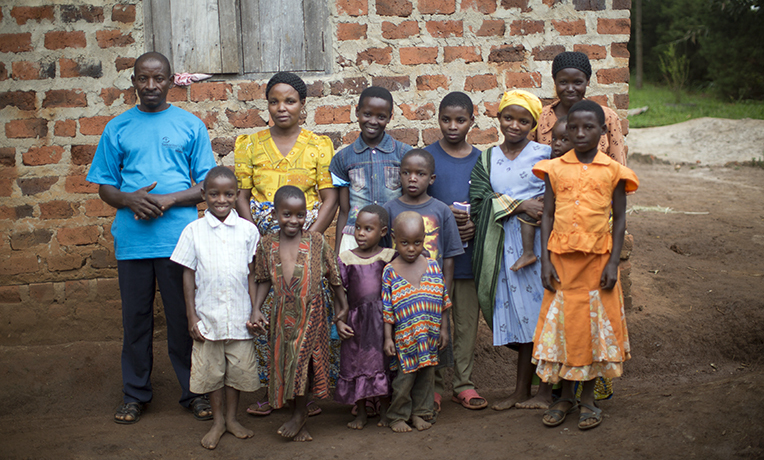 Emmanuel, Priscilla, and their 11 children are thankful to have a clean water source close by. It allows Emmanuel and Priscilla to have time to work, and it keeps their children from diseases. Emmanuel and Priscilla live right by the new well, and the community chose to make Emmanuel the chairman of the water source. One day, Samaritan’s Purse will leave the community, but the shallow well will still exist. Emmanuel and others on the water committee will manage and maintain it. Emmanuel said he has noticed that the health of the entire community is improving, and no one goes to the pond or has to travel long distances anymore for water. He is thankful to see how his community has benefited. This contraption is called a tippy-tap. Clean water and soap are mixed together in the jug, and a stick attached to a string allows the mixture to pour out when stepped on. Along with installing wells, Samaritan’s Purse also teaches communities about the importance of sanitation and hygiene. Ideas such as hand washing and using a latrine are often foreign to people in rural African communities. Samaritan’s Purse holds training sessions and teaches locals how to make latrines, hand-washing stations, dish-drying racks, and other important sanitation items. Through our water projects, we are often able to share the Gospel with people who don’t know Christ. Many people in the community said that they felt like God had provided for them and that He would continue to do great things for them.